House Speaker Ted Arnott has ruled there's not enough evidence to support Donna Skelly's claim Andrea Howath pushed her in the legislature. 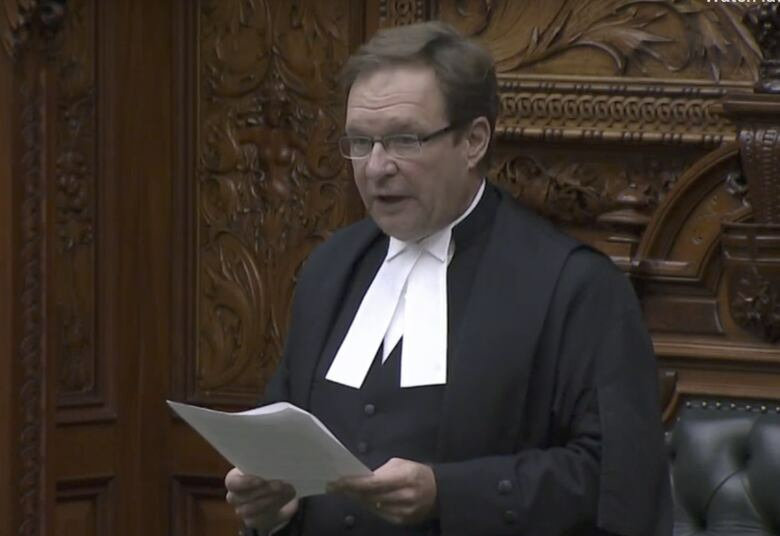 House Speaker Ted Arnott has ruled there's not enough evidence to support Donna Skelly's claim NDP leader Andrea Howath pushed her in the legislature. The Flamborough-Glanbrook MPP accused Horwath of storming across the floor "yelling, screaming" before pushing her. Though she wasn't injured, Skelly called Horwath and "angry woman" said she should consider anger management classes. 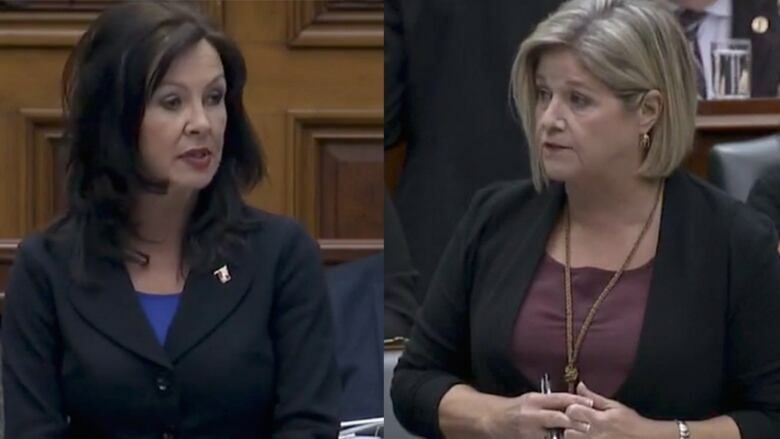 For her part, Horwath flatly denied the accusation and said she simply tapped Skelly on the shoulder to get her attention, adding the PC MPP is the one who "went ballistic." Both are Hamilton area MPPs. Contacted through her constituency office, Skelly did not respond to a request for comment. Speaking to reporters after question period Thursday, Horwath said she knew all along that the extent of the confrontation had been exaggerated and added she was glad the allegation had been put to bed. "I know what happened, I was part of that incident and I just have to say that Ms. Skelly's going to have to answer for her own actions and her own behaviour." Arnott said he received written written submissions about the incident from both the government house leader and official opposition house leader. "After carefully reviewing the matter I cannot find that a prima facie case of breach of privilege has been established," he said, explaining there was no evidence to suggest Skelly was blocked doing her duty as an elected official and voting. Noting the legislature can sometimes be an "adversarial" place where "heated exchanges" take place, Arnott urged members to be respectful of each other. "It would be a disservice to this place and to those citizens that elected us, for us to tolerate honourable disagreement degenerating to the level of personal insult, confrontation and close-mindedness."